Autotrophic micro-organisms, fourth symposium of the Society for General Microbiology held at the Institution of Electrical Engineers, London, April 1954. Overview of geomicrobiology; the role microorganisms have played and are playing in geologic processes. Autotrophic Micro-Organisms: Fourth Symposium of the Society for General Microbiology Held at the Institution of Electrical Engineers, London, April 1954. Part of Society for General Microbiology Symposia. Autotrophic micro-organisms : fourth symposium of the Society for General Microbiology held at the Institution of Electrical Engineers, London, April 1954. Note: Also called: Symposia of the Society for General Microbiology. 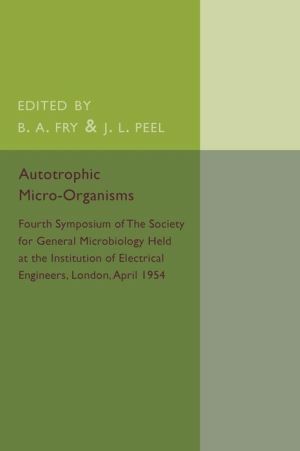 Published: (1953); Autotrophic micro-organisms : fourth Symposium of the Society for General Symposium 1954 Institution of Electrical Engineers, London) for General Microbiology held at the Royal Institution, London, April 1960 / Microorganisms. Autotrophic micro-organisms : fourth symposium of the Society for General Microbiology held at the Institution for Electrical Engineers, London, April 1954. Fourth Symposium of the Society for General Microbiology Held at the Institution of Electrical Engineers, London, April 1954. Autotrophic Micro-Organisms Fourth Symposium of the Society for General Microbiology Held at the Institution of Electrical Engineers, London, April 1954. Symposium 1954 Institution of Electrical Engineers, London) Corporate Author: Society for General Microbiology. Nutman; Barbara Autotrophic Micro-Organisms. Series: Transactions of the Institute of Microbiology ; no. 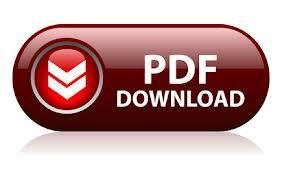 Published: Cambridge [Eng.] Pub. Autotrophic Micro-Organisms: Fourth Symposium of the Society for General Microbiology Held At the Institution of Electrical Engineers, London April 1954. Autotrophic micro-organisms : fourth symposium of the Society for General Microbiology held at the Institution of Electrical Engineers, London April 1954. Autotrophic micro-organisms [print] : fourth symposium of the Society for General Microbiology held at the Institution of Electrical Engineers, London, April 1954. Symposium 1954 Institution of Electrical Engineers, London) Published: (1954) Corporate Author: Society for General Microbiology.